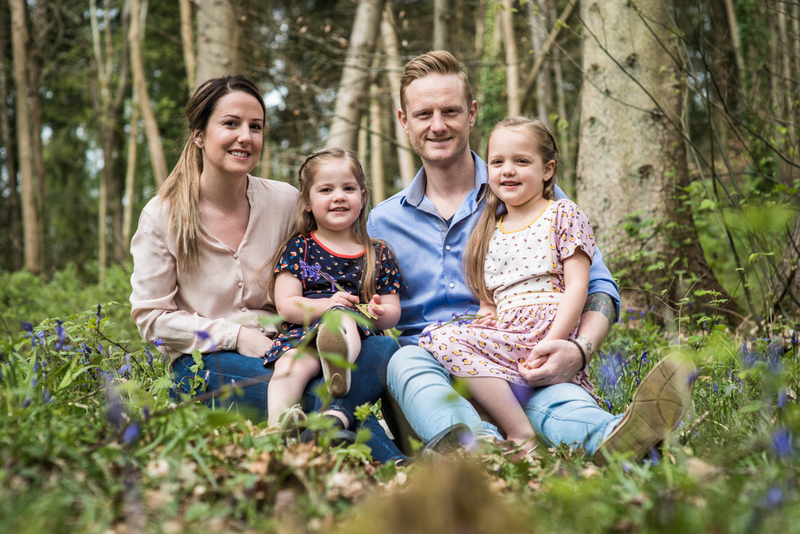 At the end of April I had the pleasure of meeting this lovely family and I took these portraits of them in the local Greyfield Woods. 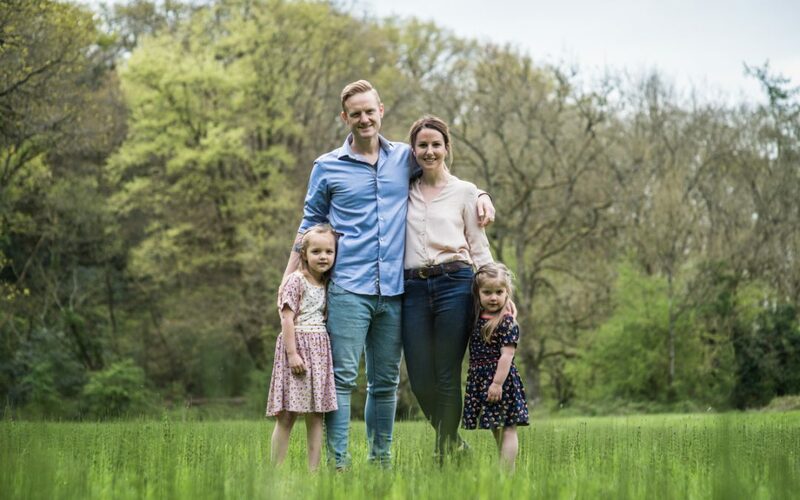 Both them and I were very pleased with the result and I forgive you for thinking that this family portrait session was straight forward, but it wasn’t. Nothing dramatic happened, it just isn’t easy to photograph young children. Two minutes into the shoot the older girl stalled and decided that she did not want to pose for photographs.I cannot blame her – she had never met me before, she felt she had to perform, she wasn’t comfortable with the situation and she felt pressured. She withdrew and was very unhappy. I asked mum and dad if they were happy for me to take over, then put my camera to the side and started chatting to both girls about all the pretty flowers growing in the woods, which one would match their dresses, what their favourite colours were and who could pull better faces to make mum and dad laugh. This form of distraction immediately resulted in the older girl forgetting about the issues, she started relaxing and even seeing the fun in the photo session. I have two young children myself so I know that sometimes pressure will get you nowhere and distraction as well as being quick is everything. In an hour and a half we had concluded the portrait session and I don’t need to tell you that the whole family enjoyed the experience because you can see it in these photographs. If you would like to book me for a family portrait session please contact me as soon as possible as I am almost fully booked for this summer.